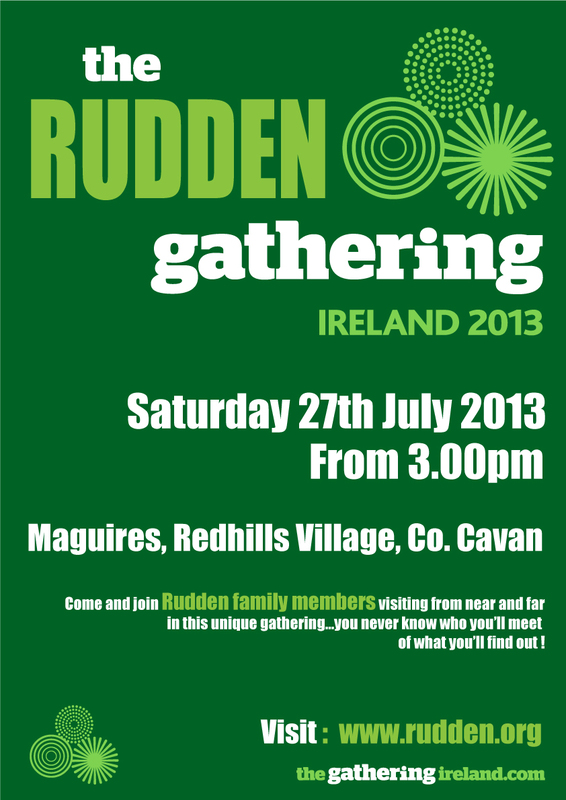 Following the success of our 2012 Rudden Gathering in Redhills’ we have decided another get together is long overdue! The Farnham Arms is located on the Main Street in Cavan Town, and a perfect base for those visiting from afar, and locals alike. People come to the Gathering for different reasons. Some are interested in finding out more about the history, their ancestors, and maybe tracing lost cousins, other come to meet old friends and ‘cousins’ for a drink and a chat. We have therefore created a number of events on the day that you can dip in and out of. We will have more info soon, but for now, please let us know if you are interested in coming. 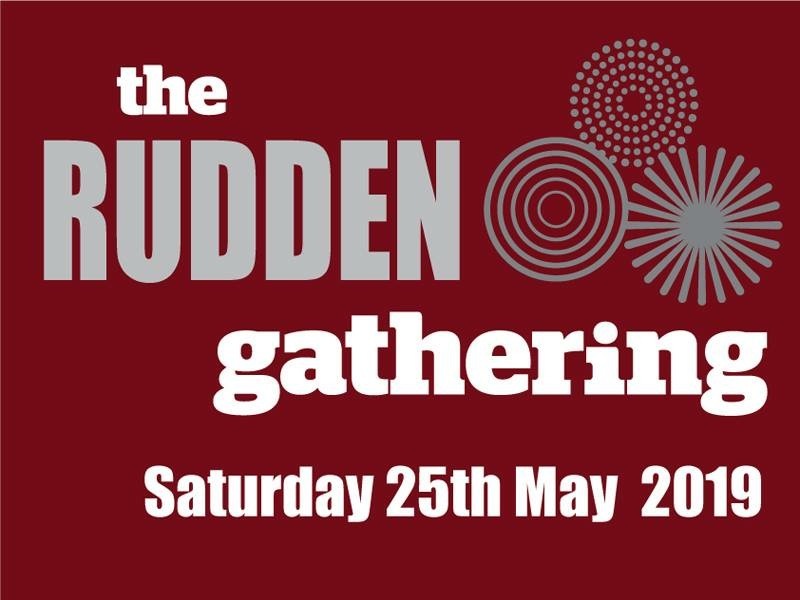 The Farnham Arms has a number of Rooms available at specially discounted rates, speak to Catherine Daly and make sure you mention the RUDDEN Gathering. Bernice Smyth ( A Redhills Rudden!) has also kindly put together the following list and contact info to help with other accommodation including B&B’s, and things to do while you are in beautiful Cavan. You can also e-mail fun@cavancoco.ie with the dates you expect to be visiting, for a pack tailored to your visit. This entry was posted in Admin Messages, Uncategorized on November 8, 2018 by admin. The following article has been put together by Jerry Strum who has been researching ancestors in Co. Monaghan and Stirlingshire, Scotland, and details a typical account of Irish Emigration. This is a personal genealogical exploration that attempts to tie together various strands of the story that I am sure others will find useful and enlightening. A big thank you to Jerry for letting us share it. Anglicized the name is Rudden and Roden in Co Monaghan and Cavan and usually Rodden in Co Donegal. Note: Within the text of this narrative the Irish form, Rudden is used when referring to people who came directly from Ireland, their descendants are written as Rodden which is how they are found in records in Scotland. To answer the question of why Patrick Rudden of Ireland came to Scotland, one must first understand a bit of this period in history. The collapse of the linen industry of Ireland left a huge landless population which became dependent on the potato for survival. Even prior to the Great Irish Famine (known in Ireland as the Great Hunger) 1845-1850, it was customary for members of Irish farming families to annually migrate to do agricultural labor in Scotland and the North of England. This was necessary as the English took greater control of Ireland and the Irish lost ownership of their lands, thus causing Irish families to pay rent to English landlords. The rents were often beyond the means of the families, so family members worked as seasonal workers elsewhere to pay the rents. Rents were paid in May and November. Many of these migrant agricultural workers collected in Glasgow and Liverpool for passage home, thus these cities became centers for Irish immigrants. At the same time, as conditions worsened in Ireland, industries, such as mining and milling, offered year- round work in Scotland and England. So areas to which the Irish immigrated and that formerly provided only seasonal harvesting work now provided the workers a year-round dependable income. It is quite likely that Patrick Rudden was part of this migration pattern. Patrick Rudden was born, according to Scottish records, abt 1830 in County Monaghan, Ireland. The name Rudden most often appeared in the townlands of Callowhill and Knox in the civil parish of Currin or Drumully RC Parish around the village of Scothouse. Patrick would be age 15 to 20 when the Famine or as the Irish call it the An Gorta Mor, The Great Hunger, struck Ireland. 1847 was the year of the largest migration from Co Monaghan, Patrick would have been around 17. It is unknown at this writing when or why Patrick left and if he left with family or alone but he first appears in records announcing banns of marriage in May 1850 in Airdrie, Lanarkshire, Scotland. The Ruddens lived in the southern border of Stirlingshire and right across the border in the northern section of Lanarkshire. As it is in Ireland with Co Monaghan and Co Cavan, the borders between Stirlingshire and Lanarkshire are very porous and families moved to and fro between counties probably following work opportunities. The Catholic center of Stirlingshire is Falkirk and is Airdrie in Lanarkshire. Patrick is reported as a general laborer in the 1851 Scotland Census and as married to his 18 year old bride, Mary; they were living in Stirlingshire, but a likely recent relocation. According to the birth record of their son, James, Patrick and Mary Johnston were married 28 May 1851 in New Monkland which is now the area in and around Airdrie, Lanarkshire. This area of Scotland had a huge influx of Irish during this time period with the greatest number leaving Co Monaghan in 1847, (Appendix C). It is not known how long Patrick had been in Airdrie area but he was obviously part of the 2,000+ Irish who arrived, and overwhelmed the area. A search of marriage records of parishes yielded a Peter Roden and a May Johnstone who announced intention of marriage in May 1850 with both being members of the parish, St Margaret’s in Airdrie, New Monkland, It is not known if this Peter Roden and May Johnstone are the same Patrick Rudden and Mary Johnstone but is most likely. Since banns were announced in May 1850, this suggests that he arrived by early in 1850 or even earlier. Mary is the daughter of George/William Johnstone, who was a contractor, and Elizabeth Johnston, nee Smith (Appendix G). Mary is reported in Stirlingshire parish records as born to William Johnstone and Elizabeth Smith and baptized 27 Nov 1831 Slamannan parish, church unknown, and is listed as illegitimate. Various records report Mary’s father as William, while others including her second marriage and death records, record his name as George. She is first found recorded in the census of1841 when she was a child, age 10, and lived on a farm called Satterhill in Slamannan Parish, in Stirlingshire with William and Mary Smith who are both age 65 and assumed to be her grandparents. Mary’s mother, Elizabeth, did not marry George Johnstone but married Ebenezer Smellie in 1834 and they had three children, Robert 1835, Agnes 1837 and William 1840. In 1841 census, Elizabeth and family were in the village of Longrigg, New Monkland, Lanarkshire. It is unknown if Mary lived with her mother and step family; however, she was in New Monkland, Lanarkshire where she probably met Patick Rudden. It would be likely that an unmarried young woman as Mary would work as a domestic in another household. That might have been the case with Mary. It is known that Mary was in Lanarkshire in 1850. In the 1851 census very near this area of Lanarkshire but just across the border in Stirlingshire in the parish of Baldernock, and in the village of Balmore, there was a John Rodden born in Ireland abt 1831 who is an agricultural laborer. While Baldernock did not get the huge influx of Irish, it is in very close proximity to Airdrie, which did (Appendix C). This residence was also occupied by Burke and McGlauglin families, also from Ireland, who are also farm laborers; however, there is no known connection between our Ruddens and these families in Co Monaghan, Ireland. This John is believed to be a brother to Patrick born abt 1830 as they are the only two Roddens in Slammanan, Stirlingshire at the time. It seems logical that they are connected. It is possible that Patrick and John both worked at this farm in Baldernock as might have Mary Johnstone. 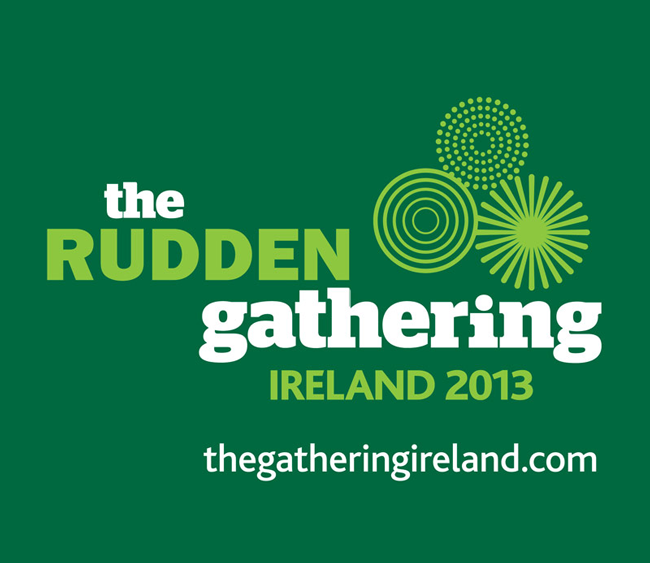 Rudden was/is not a common name in Ireland. Most were found in the southwest corner of Co Monaghan and across the boarders in Co Cavan and Co Fermanagh. So, it seems more than likely that Ruddens found in Scotland from Ireland in this time period are possibly connected. •	The close proximity of the two men and their families for the next five decades in Scotland. •	The naming patterns of their children especially the use of the name Charles (Appendix B). •	John’s son, also John, left a widow, Mary McFarlane. Mary remarried a James Rudden of Scotshouse, Co Monaghan Ireland (Appendix F). •	Patrick’s son, also John, married Annie Connolly of Aghnaskieve, a townland right outside of Scotshouse, Co Monaghan, Ireland. Patrick and Mary Johnston were married 28 May 1851 in New Monkland at St Margaret’s in Airdrie. This places their marriage after the birth of daughter, Elizabeth. One source lists Elizabeth’s place of birth as Shotts but this is not confirmed. By 1851 there were 1,200+ Irish in Shotts. It appears that the Irish population had shifted from Airdrie to Shotts, Lanarkshire. This is supported by population movement (Appendix C). This could well be people following work opportunities. •	Andrew Rodden found first in the 1851 census in Old Monkland in East Merryton. He is a miner and born about 1837. He is next found in the 1861 census in Binniehill. He died 1 Apr 1867 in Binniehill. His father was Francis and mother was Mary Riley. He had six children; Mary, Catherine, Michael, William, a second Catherine, Anne. The first Catherine was born 1854 and died 1855 with mother who was in prison at time. Nothing else is known. •	Charles Rodden is found in the 1861 census in Rutherglen. He is born about 1830 in Co Monaghan. His parents are Patrick Rudden and Bridget McGinty. Charles and his wife Mary have three children who were Charles, Catherine and John. •	Thomas Rudden, living in Shotts, son of Hugh Rudden and Rose Smyth, Knox East, Co Monaghan. This seems a significant connection as our Patrick 1831 is believed to come from the same townland of Knox East. •	Another John Rodden, age 22, is found in Shotts in 1861 census. He is a lodger with an Irish famiy, McPhee. This same McPhee family lived close to Patrick Rodden and Mary Johnstone in 1871 census in Slamannan. Nothing further is known of this John. John and Patrick and their families continue to live in close proximity to one another for the rest of their lives further validating their familial relationship. There is no document that is likely to exist that states who Patrick’s parents were. However, John’s parents are known to be Charles Rudden and Margaret Harper and, assuming his brother is Patrick, then these are also his parents. However, while Patrick stated his place of origin as Co Monaghan there is no known document that lists Co Monaghan as the home of John or his mother, Margaret Harper. That also is assumed based on other evidence. There is also the possibility that Charles Rudden and Margaret Harper are not from Co Monaghan. A great abundance of Ruddens live just across the border of Co Monaghan in Co Cavan. Co Cavan has a number of Charles Rudden families recorded in the 1827 Tithe Applotment of Ireland and in the 1856 Griffiths Primary Valuation of Ireland. As family members are not listed, it is impossible to know if that is the location of this branch of Ruddens, or if they as Patrick, are from Co Monaghan. But as stated earlier, a preponderance of evidence points to Patrick and John as brothers; so they would be from Co Monaghan and their parents would be Charles Rudden and Margaret Harper. Patrick is reported as a colliery labourer in the census and their address is Knock Hespie, Slamannan parish, Stirlingshire. While the family was in Stirlingshire in 1861 they must have continued to move frequently as they are in Lanarkshire in 1851, in Stirlingshire later in 1851, back in Lanarkshire for the birth of Margaret in 1854 and back in Stirlingshire by 1856 for the birth of their first son, William. The next move was a very short distance on the same road to Limerigg where all the remaining children were born. By 1885 St. Mary’s RC Church at Barnsmuir is founded in Limerigg, it is unknown what parish served the family earlier. This all suggests that families owned little and simply picked up and moved to the next job site where they lived in company housing with few personal possessions. It also demonstrates that the distances between the locations were very small even though political boundaries changed. John Rodden b 1835, Ireland, possible brother of Patrick, was living a very short distance away at Burn Row, a string of miners’ cottages across the road from the farm Satter Hill farm, with his mother Margaret Harper the widow of Charles Rudden. As Margaret is listed as age 79 and John is record as age 26, that would make Margaret age 53 when John was born. While there is probably an error in the recording of ages, it also suggests that John was probably the last child of the couple. It seems unusual that Margaret Harper was living with what was probably her youngest child, and a son, rather than a daughter. It was more likely for mothers to live with married daughters rather than sons. Of even more interest is that Margaret moved to Scotland quite possibly after her husband Charles Rudden died. There is no Scottish death record for Charles Rudden. So, he may have died in Ireland, but both the place and the date of his death are unknown. So what would cause Margaret to leave family and leave Ireland and go to Scotland? One would think that there must be children remaining in Ireland but maybe all had perished or immigrated? Does Margaret have additional family in Scotland besides John and Patrick? Are there other children nearby? Are there additional family connections to Scotland? All of these questions remained unanswered at this writing. Margaret is believed to be Protestant as the name Harper is a Protestant name in Ireland. In 1690, there was a famine in Scotland resulting in a mass migration of Scots to Ireland. There was a second wave of Scots to Ireland during the plantation years. Did the Harpers come to Ireland and settle in Ulster during one of those two periods? Did Margaret still have family connection in Scotland? 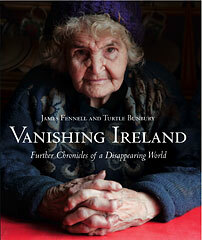 Clearly, there were compelling reasons, for a woman of her advanced age, to leave Ireland and live with a young son. There in not much known of Charles Rudden. What little that is known is from the death record of his wife, Margaret Harper, mainly that he was a laborer. From that it can be assumed that Charles did not own or lease five acres of land in Co Monaghan because he does not appear in the Tithe Applotment Books of 1827. So he was also probably not the oldest child in his family. So to feed his family in Ireland, he may have leased a one acre plot or simply a garden from a Rudden sibling or even from a Harper. Margaret’s death record indicated that her father, William Harper, was a mason. It is known that the Church of Ireland, built St Andrew’s Church in Scotshouse and that it was completed in 1810. A William Harper is found in the Tithe Applotment of 1827 in the townland of Drumbure just on the edge of Scotshouse. Might this building have provided work for the mason William Harper and possibly the laborer Charles Rudden? Might that connection have led to the marriage of Margaret Harper and Charles Rudden? These questions also remain unanswered at this time. Margaret Harper died 19 Jan 1869 after a three week illness in Binniehill, Slamannan, Stirlingshire which in 1861 was also the home of Andrew Rodden. Her death was registered by her son, John, using his mark “x” indicating that he was illiterate. 1871 Finds Patrick and John not living in close proximity but in 1872 they are in the same village. Patrick and Mary continued to live in Slamannan parish but now at #27 in a small village named Limerigg. Patrick was a collary labourer and they now also had four additional children who are all born in Limerigg, Slammanan. John Rodden b 1832, was married to Helen Robertson in 1862 in Falkirk, Sterling. In 1871 they are found in the Scottish census living in New Monkland parish in the village of Old Manse with their three children. However, the move to New Monkland was recent as they had continued to live in Stirlingshire throughout the 1860’s as evidence by the birth of their children and the death of John’s mother, Margaret Harper. 1881 The eldest daughters of Patrick and Mary have left home and were married. The remaining family now lived in New Monkland Landward in Lanarkshire in the wee village Lochend at Row #6. Nearby at 10 Aughengray Row is the family of James Craig, with daughter, Margaret, future wife of Charles. Patrick continued as a miner and at home were three sons who were also miners with the two daughters at school. •	Charles age 22 (Charles immigrated to USA 30 Dec 1881. Family lore says to follow Margaret Craig who left after July 1881 for the US). In the same village of Lochend at Row #19 is the family of John and Helen Rodden. John is a coal miner. His two sons are also miners. 1885 Patrick died 4 December and was buried in St. Joseph’s in Airdrie, Lanarkshire. His age is reported as 50 but was more likely closer to 55. He is still a laborer at the time of his death and died of bronchitis. Patrick’s death is reported by his son, James. On the death record the space for names of Patrick’s parents is unfortunately left blank. Mary remarried John Murrary soon after Patrick’s death in 1886 and finished raising their daughters who were ages 15 and 18 at the time. By the time of Patrick’s death, his son Charles Rodden, had immigrated to Pennsylvania, USA in 1881 and married Margaret Craig. He was followed by his brothers James, William and John in 1888. James and his wife Catherine Devlin stayed in America and settled in Alabama while William and John returned to Scotland. It is unknown when William and John returned to Scotland. Charles made a trip back to Scotland arriving in Glasgow 12 Oct 1891and departed Glasgow 23 Oct 1891 for the return to New York, arriving 4 Nov 1891. His absence would have meant some struggle for the family as they would be without his income. James also returned to visit family in Caldercruix, Lanarkshire arrived 5 Oct 1903 and returned 21 Nov 1903. Charles’s son, Charles, also visited the family as he returned from service in WWI in 1918. He visited William, whom he called Willie in Motherwell, John, whom he called Johnnie in Caldercruix and Pat and Willie Connor, sons of a sister of his father, who was Margaret Muir nee Rodden. After this, all contact seemed to be lost between Scotland and the US families for 70+ years. 1889 John Rodden died at Lockend by Airdrie. His death was reported by his son John. His place of burial is unknown. 1891 in April, Mary was living with her second husband John Murray in Airdrie, New Monkland Parish, Lararkshire with her family clustered nearby. •	78 Peesweep Mary Rodden and husband John Murray and son William Rodden. •	77 Peesweep had daughter Elizabeth Rodden married to Bernard Harkins and their 5 children. •	80 Peesweep had daughter Annie Rodden and her husband Edward Welsh and one child. •	85 and 86 had Helen Rodden widow of John Rodden b 1832. John died 23 Feb 1889 at Lockend, New Monkland, Lanarkshire quite possibly at the address at which he was living in 1881. •	In Auchengray, New Monkland, Lanarkshire was Margaret married to James Connor and their 5 children. Also in their home is Margaret’s brother, John Rodden. This was temporary as John had returned from the US. He then went to Ireland where he married in March of 1892. The proximity of Helen Rodden, widow of John Rodden b1832, lends further evidence to the connection of John to Patrick. The one document that would have tied them together was Patrick’s death notice, but Patrick’s parents’ names are not reported on the form. Additional evidence may be in the naming conventions of the time (See Appendix B). Both Patrick and John seemed to have loosely followed what were standard naming conventions, mainly naming children in order of other relatives. The two men used essentially the same names with the differences reflecting their wives’ families. Of particular note is the use of the name Charles which is unusual in Ireland with the Ruddens and suggests a family connection. 1901 Finds the Roddens still within close proximity of one another. •	#94 Lochend Row, New Monkland, Larnarkshire was Mary Murray nee Johnstone with her husband John Murray. Her son William was no longer in her home and his whereabouts are unknown. •	#89 Lochend Row is her daughter Annie who is married to Edward Welsh and four children. •	Auchngray Row is Mary, the youngest Rodden sibling, is now married to Alexander Muir and had three children. •	Reid’s Land is now the home of John Rodden married to Annie Connolly of Scotshouse, Currin, Co. Monaghan, Ireland, and their four daughters. •	1871 census of Scotland which lists Co Monaghan as Patrick’s place of birth. •	Naming patterns used for John and Patrick’s children (Appendix B). •	Hugh Rudden and Rose Smyth born abt 1820 of Knocks East also used the name Charles for one of their children (Appendix E, p 79). •	Patrick’s youngest son, John 1865, married Annie Connolly in Aghnaskiev, Currin, Co Monaghan. •	Oral tradition related by Alice Rudden of Coolnacarte in a personal interview in Oct of 2013 related that when the Scottish Rudden came home to marry Annie Connolly, he stayed with his cousin in Knox East. This was most likely John Rudden, son of Hugh of Knocks East. Alice got the story from her mother who was next door neighbor to John of Knox East daughter, Lizzie Rudden McPhillips (Appendix D). •	People emigrated from Ireland but the families that remained didn’t move around. If John 1865 went back to Scotshouse, Aghnaskieve it was because family was there and had been there for generations. •	Patrick and John are not the oldest sons so they did not receive the land or lease and so immigration would be necessary. •	Their father is Charles; Charles is also not the oldest son and landless as he does not appear in the 1827 Tithe Applotment. County Monaghan takes its name from the Irish ‘Muineachain”, meaning “littlehills”. It has been inhabited since the Bronze Age. It was the center and heartland of the kingdom of Oriel. The arrival of Christianity saw St. Patrick visit several locations in the county. The Vikings were invaders during the 10-11 centuries and a Viking fort is still visible near Glaslough. Prior to the 17th century Plantations, Co Monaghan was ruled by the McMahons who controlled 4/5 of the area and the McKennas controlled the remaining 1/5. When the Elizabethans decided in 1585 to divide Ulster into ‘shire-land’, the boundaries of the county were laid out, roughly as they are today. From the 15th to the 17th centuries the McMahons and the McKennas formed part of the armies of the O’Neils and were a constant thorn in the side off the English. Scotshouse (Irish: Achabh NaHAbhla) is a small agricultural village about 5 miles away from the border town of Clones in Co Monaghan, Ireland. It is close to the border with both Co Cavan and Co Fermanagh. Cavan town is 11 miles away and Monaghan town is 17 miles away. It is in the townland of Aghnahola. The village derives its name from an English soldier named Willie Scot who was in Cromwell’s army and settled in the area in the early seventeen century. He sold hardware products locally. He used his home to sell his products with many locals calling to the house, and when asked where they were going they would invariably reply “Scot’s house”. This house was located in the townland of Aghnahola and was situated behind the current Church of Ireland parochial house. Scotshouse remains a small village of approximately 45 houses. However since 2005 approximately 75 houses have been built in the same townland where this Willie Scot once lived. There is much debate in the village about the name. Some elements of the village like to call it “Teach an Stocaign” after Willie Scott. However, others take offense at the village being named after this soldier and insist that the name should be the Irish Achadh na hAbhla. Whatever the name, Scotshouse continued to be a wee village in the rolling hills of Ireland probably not vastly different than it was in the 1840’s when Patrick left. •	First male named after father’s father, first female after mother’s mother. •	Second male named after mother’s father, second female after father’s mother. •	Third and fourth children named after grandparents or parents. Variants were always possible but this gave the general outline for naming children. This convention basically was followed by Patrick and John and strongly suggests that their parents were Charles and Margaret. 1. Elizabeth, a first daughter after Mary Johnstone’s mother Elizabeth Smith. 2. Margaret, a second daughter named after Margaret Harper. The remaining names might include the names of the parents or other family members such as aunts and uncles. The seventh child, Mary, shared her mother’s name. No child that lived was named Patrick after the father. That may also have been a decision as the name Patrick was considered too Irish and thus stigmatizing in Scotland. All four remaining names were very prevalent among the Ruddens of Knox, Co Monaghan, Ireland. Irish population found in Slamannan, Shotts, Airdrie and Baldernock in the 1840’s and 1850’s. 53% of farms were less than 5 acres, 42% were between 5-15 acres. The County Monaghan was among the hardest hit areas during the Famine with Currin Parish among the hardest hit in the county. As seen below the decline was astounding. Alice Rudden, of Coolnacarte, Currin, Co Monaghan, spoke with confidence and clarity during an interview with me in October of 2013 on the return of the Scottish Rudden, John Rodden 1865, son of Patrick 1830 of Ireland, who came home to Ireland from Scotland and married Annie Connolly in 1892. She asserted that he visited his cousins while in Ireland. The cousins included Annie, Mary, and Lizzie Rudden. There is, in the outset, a significant error in Alice’s story. John Rodden of Scotland could not have visited the cousins Annie, Mary and Lizzie in 1892 as they were not yet born. This does not mean that he did not come at some time after that date and visit them and/or their home, which is quite likely since Annie Connolly’s family was present in 1901 and 1911 census in Dunsrim near Scotshouse. Certainly it would be likely that she made trips home and it was more than likely that her husband, John Rodden 1865, joined her as he too had family in the area. •	Mary Rudden born 1905 Knocks East, Killynenagh, Monaghan (Registered in Clones Civil Records 1845-1958). She married Phillip Fay born 1900 in 1937. •	Elizabeth Rudden born 1911 Knocks East, Killynenagh, Monaghan. She married James McPhillips born 1902 in 1942(Registered in Clones Civil Records 1845-1958). . They had no children. An interview was also conducted in Oct 2013 with Eileen Fay, wife of John (Sean Fay) who currently is of Redhills and a descendant of Mary Rudden . Eileen shared that a cousin, Alice Ruth Rudden b1 Jun 1896 Currin, Monaghan, Ireland emigrated to Brookton, Massachusetts, in America and that in 1942 she received a letter from her cousin Mary Rudden Fay. The letter revealed much about the difficulty of life in Redhills at the time but even more importantly for this project, revealed additional family connections. The following was discovered through US census records and death records based on the letter and the oral history of Eileen Fay. o	John Rudden b 8 Sep 1863, Knox East (Source: John Kelley’s list of birth records). o	Hugh Rudden b 16 Feb 1866, Knox East (Source: John Kelley’s list of birth records). This Hugh is mentioned in the letter of Ruthie Fay. Hugh married Catherine Kelleher. Their marriage record confirms his parents to be Hugh Rudden and Mary McPhillips. o	James Rudden b 23 Mar 1868, Knox East (Source: John Kelley’s list of birth records). o	Annie Rudden b 9 Jan 1871, Knox East (Source: John Kelley’s list of birth records). Anne is also mentioned in the letter from Ruthie Fay. A logical conclusion based on the story told by Alice and facts found about the family of Hugh Rudden could be drawn that Patrick Rudden b1830 emigrated to Stirlingshire, Scotland sometime in the later part of the 1840 decade and his son, John b1864, visited an Irish cousin who is connected to the three daughters, Annie, Mary, Lizzie. The cousin’s father was John; John’s father was Hugh b 1820 which would make him the brother of our Patrick b1830. In 1841 53% of farms in Ireland were less than 5 acres, 42% were between 5-15 acres and only 317 were over30 acres. Tithe Applotment of 1827 there are 7 families in Knox East and the area is 35 Irish/acres 58.8 statute acres (which is the measure used in Griffith’s). So in the 30 years there have been some changes. The most obvious is the land mass seems different as it is 64.8 statute acres in 1827 and 82 in 1856. Also John Leonard’s son Michael is probably now the leasee and the acres have changed from 8.1 to 9. The land mass change may be due to bog reclamation. What is unknown is who are the family members of two Hugh Ruddens and how are they connected to descendants. 1901 Census Knox East, Killynenagh DED. There are no Rudden residents in Knox West with the exception of granddaughter to Smyths in 1901. Even 45 years, later the names have not drastically changed: Rudden and Leonard occupy the land with the addition of McEniff/Kelley family. However we now have other household members listed. 1. Mary Rudden age 65 widow of Hugh and two children, Mary 31 and John 29 (nee Mary McPhillips). This Huge was also known as Hymie Rudden. Essentially there are no changes in the residents of this townland between 1901 and 1911. While there is a clear trail of Ruddens the number of leases gets smaller over the decades. In addition, as with the case of Hugh’s children, 3 sons left so there is no knowing how many sons each of the leasees had in the first 7 families of Ruddens during the Tithe Applotment. The Tithe Applotment and Griffiths list two Hugh so it is unknown if these Hughs are connected to them or one of the other Ruddens. Sons without property who did not have a trade had two choices. They could become day laborers or they could emigrate. The two Hugh Rudden families of Knox provide an example of families with a number of sons but only one holds the lease on the farms. o	Thomas emigrated to Scotland and is found in Shotts, Lanarkshire. This is of significance as my Patrick b1830 first daughter, Elizabeth, was born in Shotts 14 March 1851 which predates her parents marriage 28 May 1851. Conception would be about June 1850, the time seasonal workers from Ireland would be in Scotland. Dunsrim seems to be an important place in the Rudden/Rodden genealogy; however its exact importance is not totally clear at this writing. Several connections seem to indicate a larger picture of the Ruddens of Currin Parish. Three events suggest a closer examination of Dunsrim. 1. Mary McFarlane’s second husband, James Rudden born 1875 was born in Dunsrim (Appendix G). 2. John Rodden 1864, son of Patrick Rudden and Mary Johnstone, goes to Aghnaskieve and married Annie Connolly. Aghnaskieve is the bordering townland to Dunsrim. 3. In the will of Mary Rudden nee McPhillips of Knox East appointed one of her exactors from Corinary which is not a neighboring townland. The connection between them is unknown. 4. There was also a Rudden presence in Dunsrim. A Patrick Rudden of Corinary purchased a farm in Dunsrim about 1860. It is unknown how this Patrick Rudden is connected to the other Ruddens of Co Monaghan but it is most likely that they are connected. The proximity of Dunsrim to Scotshouse and Aghnaskiev are of interest considering with whom John Rodden 1864 of Scotland stayed in 1892. On the record of marriage to Annie Connolly he listed his place of residence as Aghnaskieve, which is also the home of the Connollys but what is unknown is if there were also Ruddens in area around Aghnaskieve with which he stayed. In Dunsrim, the neighboring townland, there was a Rudden at the time of John’s visit. The Rudden presence in Dunsrim begins with a Patrick Rudden and George Welsh who were on adjacent farms in 1831 in Corrinary and, in fact, this Patrick appeared in the tithe Applotment of 1827. George Welsh and his son John, were on the neighboring farm in Corrinary then moved to Dunsrim where George died and John eventually sold his farm to John Rudden. This John Rudden is assumed to be the son or brother of Patrick. The farm at the time is listed as free but it is later purchased by Thomas Atkinson, a prominent landowner of the time. A Patrick Rudden is present in Dunsrim as early as 1861 when his first child is born and continuing there until 1901 when family is present in the census however by 1911 there is no Rudden presence in Dunsrim. A son, James born 1875, had gone to Scotland in 1900 and married Mary McFarlane. How the Ruddens of Dunsrim and Patrick of Corrinary are connected to the other branches of Ruddens in Knox is unknown. What is known of a Knox/Corrinary connection is through the will of Mary Rudden nee McPhillips. In Mary’s will she named William Rowley, a Protestant farmer of Corrinary, as an executor. This raises the obvious question of why would she name an illiterate, Protestant farmer in Corrinary as her executor unless he is somehow connected to family? Examining Corrinary in Griffiths and 1901 found no Ruddens. Any connection between Patrick, found of Corrinary and then Dunsrim, and the Ruddens of Knox East is unknown but certainly possible. Whether John of Scotland stayed with family in Knox East or Dunsrim is unknown at this writing but either would be possible. •	Geo Welsh 1789 and Patrick Rudden next door to each other in Corringary.. George has a son John Welsh, Patrick is believed to also have a son John. •	7b John Welsh who Married Mary Boyne 13 Nov 1844, their last child born Alexander Welsh 1859. Alexander baptized at Drumully, Roman Catholic Parish, Co Monaghan. The family then migrated to Glasgow. 1861 John Rudden took over 7b until 1880 when Thomas Atkins took it. However Jame Rudden born abt 1839 lived in Dunsrim as a farm laborer and had his first child in 1861. Was he on this farm? 1888 Annie Rodden (daughter of Patrick Rudden) married Edward Welsh, it is unknown if and how this Welsh may be connected to the John Welsh of Dunsrim however the James Welsh and famlly appear in close proximity to the Patrick Rudden family across the decades in the Scotland census. •	#10 is owned by James Rudden father of John who was second husband to Mary McFarlane of Bathgate, West Lothian, Scotland. •	#18 is owned by Thomas McPhillips son of Patrick McPhillips who was at #7 in 1901. Thomas is a spirits merchant. The lore handed down by descendants of Mary was that Mary McFarland married brothers. John Rodden born 1835 who is believed to have emigrated from Co Monaghan, Ireland to Lanarkshire and Stirlingshire, Scotland probably with a brother named Patrick b1830. John married Helen Roberston and they had a family which included a son John born 1863. That John married Mary McFarland and they had a family of 4 children before John’s premature death on 9 May,1900. However Mary was a widow for a very short time because by 25 June 1900 she married James Rudden b 1876 of Dumsrim, Currin, Monaghan, Ireland! This is an interesting marriage for several reasons. Not only was it literally on the heels of the death of Mary’s first husband, John, but James was about 11 years younger than his bride, Mary. John was quite possibly a cousin of her first husband, John. The family lore had it that Mary had married brothers, which is not a fact but it is very likely that the two Rodden/Ruddens were cousins. James’s home was Dunsrim, a townland, just south of Scotshouse and beside the townland of Aghnaskew. Another John Rodden b1864, the son of Patrick b1830, mentioned above, in Co Monaghan Ireland, did a trip for a bride in the reverse. He traveled from Lanarkshire, Scotland to Aghnaskew, Currin Parish, Ireland in 1892 and married Annie Connolly. So in spite of the distance and what would have been the expense of travel it seems the Irish and Scottish branches of the Rudden/Rodden family tree remained in contact, some might suggest very close contact. Researched and written by Mary Close, Edited by Jerry Strum, Note: This document makes the assumption that ‘Elizabeth’ and ‘Bethea’ are actually one and the same name. While there is no record of a ‘Bethea’ Smith having been born to William Smith and Mary Orr there is record of Elizabeth Smith, so the assumption is Bethea and Elizabeth are one and the same person. Mary Orr who was born in Tarbolton, Ayrshire, Scotland married William Smith. They settled in Mauchline, Ayrshire, Scotland, which was also the home of the Scottish bard, Robert Burns. Since Robert Burns died in1796 there is a chance that this William and Mary could have known him. As their first child wasn’t born until 1798, the children would not have met him. •	Mary 1816 in Shotts, Lanarkshire. This Mary lived in Newfielddyke in 1851 census which was where her niece Mary Johnstone lived with her husband Patrick Rudden. Of additional interest is the fact that one source reports that Elizabeth, the daughter of above Mary Johnstone and Patrick Rudden, is in one source reported born in Shotts in 1851. This would suggest that the Smyths had presence in Shotts for a period of time. William and Mary were living in Saturhill Farm on the 1841 Census. The children had all grown up and were building their own lives. However, there is a wee girl called Mary living with her grandparents. She is aged 10 at this time so was born in 1831. We know her mother was Elizabeth Smith born 1809, presumed daughter of William and Mary Smith. Mary was born illegitimately to Elizabeth with the father being recorded as William Johnston. They never married. On the same 1841 Census, the family of John Johnston is also on Saturhill Farm. This John Johnston was born 1781and his wife, Agnes born 1801. As William is believed to be born 1806, Agnes could have been the second wife of John, the first being Jane Jack. A John Johnson and Jane Jack had a large family in the early 1800’s one of whom was William born in 1806. Further investigation is required to sort this out. It seems highly likely that Elizabeth while staying or visiting her parents at the farm connected with William as William was either living or visiting the same farm. The product of this union was Mary Johnston. Elizabeth and William did not marry. William would have been around 25 at the time of Mary’s birth and may well have been betrothed or already married or simply of a different class and thus not an acceptable union for the standards of the day. The 3 children were thus half-siblings to Mary Johnstone. They settled in the parish of New Monkland, Lankshire, found in the 1841 Census in Longrigg, close to Auchengray. Sadly, by the time of the 1851 Census, Elizabeth was a widow and she and her mother, Mary, now also a widow, are living together at Clover Hall which is beside Knocks Happy(aka Hespie) in the Parish of Slamannan and the home of Mary Johnstone and Patrick Rodden by 1861 so they lived in very close proximity to one another. Mary appeared in the census as aged 80 and listed Tarbolton, Ayrshire as her birthplace and Elizabeth recorded her age as 38, but is most likely older than this if she was born in 1809. Elizabeth’s birthplace is recorded as Mauchline. The death record of our Elizabeth’s husband, Ebenezer Smellie, is not yet located though his death had to be between 1841 and 1851. Elizabeth died aged ‘54’ years in 12th Nov 1860 in Limerigg and her parents are shown as Mary Orr and William Smith, Farmer. Her son, Robert Smillie, registers the death. She was buried in Slamannan churchyard. This suggests that the family was non-Catholic. Could this have been the reason William and Elizabeth did not marry perhaps? William also must have died between 1841 and 1851 as he is not found. Mary Orr was present on the 1861 Census, aged ‘87’ and is now living with her daughter-in-law Elizabeth Smith (nee Jack) who by that time was also widow. She had been married to our Elizabeth’s brother John who had died in 1857 at Longriggend. His death record confirms his wife’s details and of course William and Mary’s details. It also shows he was buried in Slamannan churchyard. Bethea Smith, assumed to be the same person as Elizabeth Smillie, died 12 Nov 1860 in Limerrigg. Her death is reported by her son Robert Smille. This is of interest as Mary Johnston and Patrick Rodden were living in this area which is confirmed by the birth of their son, Charles, born in Limerigg in 1859 and their son William was born right up the road in Burn Row in 1856. Both of these villages are on the border of Satter Hill Farm. So while it is unknown what the relationship was, the families lived in close physical proximity. This entry was posted in Rudden Name on June 26, 2017 by admin. This piece of footage featured on the RTE Nationwide programme in Ireland back in 2009, and accompanied a feature in the ‘Vanishing Ireland’ book by author Turtle Bunbury. For anyone who has not yet seen this footage its certainly worth seeing showing the village of Redhills and the countryside in Drumcor on the Monaghan border. This entry was posted in Rudden General Interest on November 12, 2013 by admin. The 1641 Depositions are witness testimonies mainly by Protestants, but also by some Catholics, from all social backgrounds, concerning their experiences of the 1641 Irish rebellion. 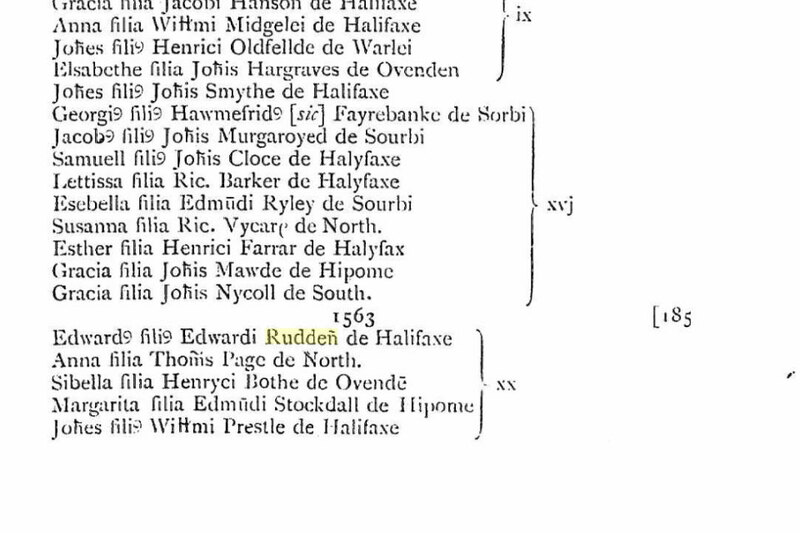 Is this the earliest mention of a ‘Rudden’ in Ireland…? *The spelling in this document is often Phonetic. The following videos are of an RTE documentary telling the story of the Cromwellian Invasion. (Please note they have been uploaded in 10 minute segments). The following programmes in Irish document the Ulster Plantation (with English Subtitles). This entry was posted in Historical Documents on February 24, 2013 by admin. NOTE there are two unnumbered pages between 31-32 which are also included. Held on view of the body of Patrick BRIDES 5 March 1877 in the parish of Curren & Barony of Dartrey. [There is no witness named here- so it seems it may have been the Coroner himself – Robert Hamilton REED] Was at Clones fair 29 March. I saw deceased in Scotshouse in Ellen CLARKENS where I was invited by deceased to take a treat. This was about 7:30 p.m. Stopped about ¼ hour. About a neign of punch was drunk by us. Deceased. Pat REILLY. – Bridget CONOLLY & myself. Alick REILLY was there. We left together as are route home was the same. I forgot my hat in CLARKENS but did not miss it for some time and when I did I asked REILLY if he had it. He replied no. We had a scuffle on the road and I fell into the ditch. I was drunk. Patrick REILLY – Deposed was a nephew of deceased. I met him on his return from Clones fair in Scothouse evening of 29 [retto?]. I and my Uncle Tom SMITH & Bridget CONOLY were drinking Eleanor CLARKSON’s public house. Remained better than ½ hour. I walked part of the way home with my uncle. He had a horse with him. After a little I got on and rode and then left him and rode onwords. I saw a rowe on the road before me near MURPHY’s gate. The people were standing in the crowd. I saw Tom SMITH. John RUDDEN & I think Michael REILLY of [Clara?]. SMITH was getting the worst of it and I went to assist him. I was struck myself on the head and body several times by sticks and stones and I don’t know by whom. My uncle came up at this time. He was knocked down. He was too far off to have been knocked down by a stick and it must’ve been by a stone. During the time of the fight I saw two women named MURPHY out on the road at the entrance of their lane. They seem to be on for saving SMITH. I helped the MURPHYs to carry my uncle into MURPHY’s house. When leaving CLARKENs my uncle had no injuries what ever on him. I remained in MURPHY’s till break of day when his wife and I helped him home. At times he was not in his right mind since receiving the injuries. He died between seven and eight o’clock on yesterday morning. Richard ATKINSON [or ATEENSON]. – Deposed I was in Clones fair 29 ulte. My daughter and the girl were in the cart with me. We made a short delay in Scothouse and then left for home. I overtook deceased at Willie CLARKs bray. He was standing on the road with Patrick REILLY his nephew. Deceased walked about three perches with me in the rear of the cart. Then Patrick REILLY took the horse and rode on. On this deceased ran after him. I heard no noise on the road all the time. I followed on the road after them. GRIFFITH’s daughter was with me and my daughter the latter ran on before as and when I came up as far as MURPHY’s lane I saw a man lying on the road and some people were standing a little away from him. There was no person near him. I knew not who they were that were on the road. Nor did I inquire. I proceeded on home but heard Pat BRIDES was hurted on the road. I overtook my Son with the cart about 4 perches above where I saw the man lying on the road. When I overtook my Son with the cart Johnny RUDDEN was with him. A little further Peter McDONALD & Michael REILLY & McDONALDs were on road. Fanny Anne STEENSON. Deposeth was with her father in Clones fair 29 ulte . Coming home stopped a short time in Scotshouse. We then started for home. I was a short way behind our cart. My sister in lane and Jane GRIFFITH were in the cart and my brother leading the horse. From leaving Scothouse we met no one save Pat BRIDE who we overtook at CLARKEs brae. Pat REILLY his nephew was with him. He got on the mare and rode on. Deceased ran after him and I ran after deceased. I met no one until I came up to the crowd on the road opposite MURPHY’s gate. When passing them by I received a stroke of something on the right side, but I don’t know who struck me. I know none other persons of the crowd. I saw RUDDEN in our cart before I got home also Pat McDONALD within a short piece of home. Mary MURPHY. Deposed. Remember last fair night of Clones I was preparing for bed when I heard shouting on the road. After some time I and my sister went by the lane leading to the road. Where I saw deceased lying on the road near the gate piers. I saw no one near him, but heard people walking on the road. Deceased was shortly after brought into her house. He was cut on the face. He, Pat REILLY & Tom SMITH stayed in our house all night. Dr. Wm. O’REILLY.I saw deceased last Saturday at two o’clock he was in bed with a poultice to the side of his head and face. On removing it I found both his eyelids black, coloured and swollen. A contused wound on the right side of his upper lip, a small wound on the angle of lips on the right side passing through the cheek and into the mouth. He complained of great pain at the back of his neck. I cupped him and took a considerable quality of blood from his neck which appeared to give him release. I sent him medicine calculated to keep down the inflammatory action of the brain. On Sunday 1st instt I heard he was better and felt he was easier. On Monday I had a message to say he was much worse. I sent leeches to be applied to his head and saw him the following morning supported by two men and endeavouring to keep him in the house. I asked him did he feel pain and he said he felt no pain as what I had done for him on Saturday had given his head freely. He was picking at some little bug on his fingers and twitching his fingers. His head was inclined favoured his neck bent and his eyes staring and prominent. I cut the hair off his head blistered his head all at the back of his neck and behind his ears. The next I heard of them was the 4 instt whenI heard he was dead. I this day assisted at a post-mortem examined on BRIDES body and found the brain congested. The spinal marrow injured by a rupture of one of the lateral ligaments and the muscles at the back of the neck congested. I am of opinion he died from congestion of the brain. Rupture of the ligaments consequent and upon injuries received which were the result of direct violence; if he fell on the back of his head on some hard substance it would cause the injuries resulting in death but would not cause the wounds on his face. Dr. Richard HENRY. I have made a post-mortem examination of the body of Patk BRIDES assisted by Dr. O”REILLY. Found the brain congested, the spinal marrow injured and the ligament connecting the first and second vertebrae ruptured. I found congestion of the muscles at the back of the neck with some coagulated blood which must have been the result of direct violence; I am of opinion that he died of congestion of the brain consequent upon injuries he received. I observe the wound on the face described by Dr. O’REILLY I consider he must have received more than one blow. Verdict. Patrick BRIDES came to his death on the fourth day of April 1877 from the effect of injuries inflicted on him on the public road on the night of 29 March 1877 by some person or persons to the jury unknown. This entry was posted in Historical Documents on February 23, 2013 by admin.